Robyn Loxley is determined to save every homeless child she can find, even if she has to break the law to do it. Since the royal foundation rudely turned her down, her target has become their crown jewels. She needs only one more job before she’s done for good. Wolf shifter Aitan Hansen is the crown prince of a small country where he runs his royal foundation and takes care of his shifter town. He comes to the U.S. to find who has been stealing his family heirlooms. 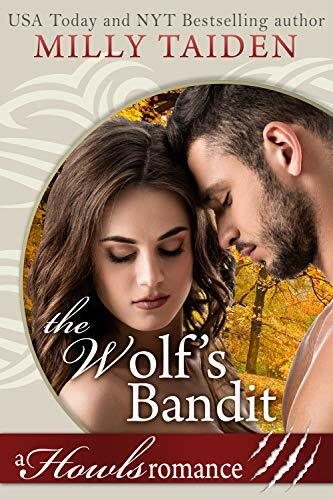 He’s completely unprepared to meet his mate, especially when he suspects her of being the thief. With the opportunity to score a lucrative piece of artwork, Robyn jumps at the chance. The problem is Aitan isn’t the only one interested in her night job. Her black-market dealer doesn’t want to share profits any longer and he’ll do whatever needed to get her latest heist, even taking her with the merchandise. Reader's Note: This shifterfied modern take on a fairytale is full of action and romance...enjoy!